It was a quiet night, so different than the hustling and bustling of the day time. 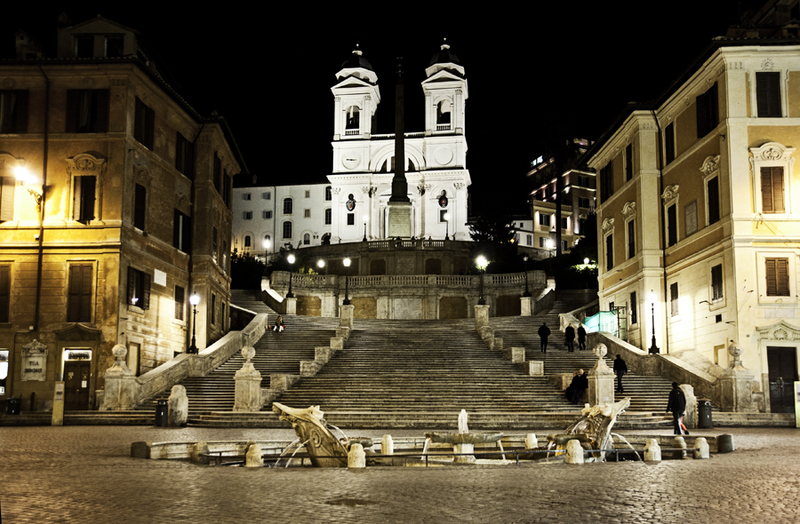 Even the Spanish Steps that are usually crowded with tourists (see First visit of Rome…) were deserted. They were handheld. However, I slightly underexposed them (about 1/2 stop) and then adjusted the exposure in photoshop and boosted the ISO. This is why they are a little “noisy”. I had my tripod with me, I took couple of shots with it and then we started walking around. 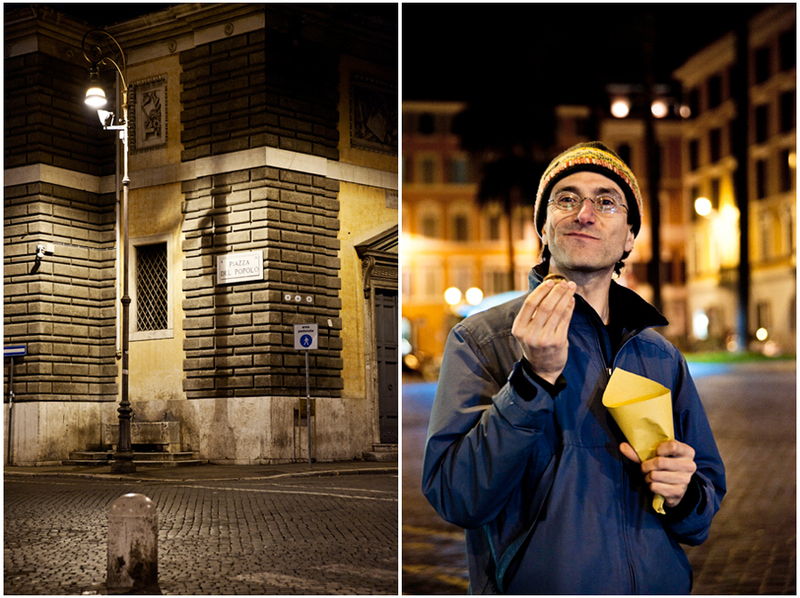 File Info for the spanish steps: 1/25 sec, f/3.2, ISO 1250.